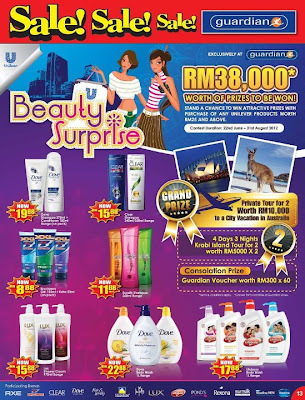 Purchase any Unilever product worth RM25 and above. Visit Guardian Facebook fan page for more details. Join & stand a chance to be invited to Heineken Bottle Launch Party!